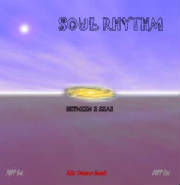 POPPMUSIC.net and the record label imprint, Popp Incorporated (POPP INC) were formed in Detroit, Michigan by music producer, KAS. POPPMusic.net is now a music production company which produces mostly Alternative Music; interactive media; and music of new sounds: Neo-Soul and Alternative R&B music (cool-out, hip-house, rock, electronic, reggae, metal, Afro-Punk) and new musical dimensions of Black America (i.e., non-traditional R&B) created by musical performing artists in the U.S.A. 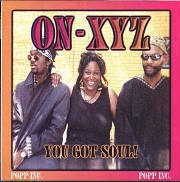 Some of Popp's releases feature the musical works of ON-XYZ (the original ONXY); WOMB MUSIC; VIRGINITY; MIYON; CITY SLICKERS;SOUL RHYTHM, and KAS SERENITY (this group features the Detroit keyboardist, producer, and musician, KAS and other noted Detroit, Chicago, Newark, NJ and New York City talented singers and musicians). POPPMusic.net also produces original music for film, movies (Moving Target), video games, animation, TV commercials, as well as, music productions for other musical recording and performing artists. 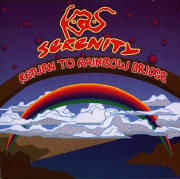 In addition, the company produces and manages several Alternative R&B, Neo-Soul, and Rock musical events, festivals and tours across the U.S.A.
POPPMusic.net has previously released CD's by KAS SERENITY, titled, "RETURN TO RAINBOW BRIDGE" (PPP4219-2 (9602)); ON-XYZ, titled, "RIGHT NOW", and VIRGINITY, titled, “BODY ROCK” (Sutra). 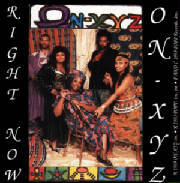 New music releases include a CD single by MIYON, titled, "DON'T CRY" (CD-786-07); and a brand new full CD by the alternative R&B/reggae band ONXYZ, titled, "YOU GOT SOUL" (CD-786-01) that is currently available on streaming music platforms (Soundcloud.com and Mixcloud.com) and as "Free" Mp3 Downloads (Reverbnation.com and Last.fm) on the Web, and also in record stores, and specialty shops everywhere.